Ok ok ok, calm down. Don’t assume that because I have THAT word “Vegan” in the title that I have gone off the deep end. (Not that if you are Vegan I think that about you…I just love my meats and honey way too much.) I recently made a new friend that, lo and behold, knows how to cook. Or, at least she has led me to believe that fact. Time will tell. See, when it comes time for snow, my sweet tooth inevitably kicks in, and this time, she came to the rescue. After deciding to avoid the grocery stores on the way home Thursday night, I backed into my parking place like one should when expecting snow/ice and headed in to Cinder. Now as most of you probably feel, once you get warm, undressed from work, and shoes off on a very cold day out, you absolutely are not stepping foot outside in public again. This was the plan at least. I started getting the sweet tooth as soon as I started watching the weather on television. The idea that I would be stuck indoors for two days made me and my oven very very happy. I don’t spend enough time with it as it is, and this would be two days of bonding for us. The planning had begun, chocolate chip cookies, brownies, muffins, pancakes, and anything else I could think of to go in the oven or on the stove that was sweet. I checked my pantry. My heart sank. I didn’t have anything to cook any of that except for the brownie makings…and sugar cookie makings if I had even craved them. But, I hadn’t. In the back corner of the pantry there were dates. Not dates with hot men, but chopped dates for baking! The thought that these are healthy made me decide to text my new friend. This is where she comes in. Oh wait, did I mention she’s Vegetarian? Hence, why I thought she would be a good person to ask for a recipe involving dates since that appears to be a semi-healthy item in my pantry. I know, not the right thing to assume, but it worked out! When I told her my dilemma, and that I had a lot of dates with nothing to do with them, she immediately had a recipe for me. (I knew I liked this new friend.) Of course, this new friend sends me a vegan and gluten-free recipe. What the heck was I going to do with that type of recipe??? I, as far as you can get from Vegetarian or Vegan, would not have the proper ingredients. Not just that, but when she told me that the dates gave the “caramel” flavor, I totally thought she was off the deep end herself. However, when I told her I was missing a few of the ingredients, she quickly piped up that she had them. There comes the going out in public thing. I had to wrap up, put shoes on, and trek out in the cold to get the missing ingredients. It was worth it in the end though. We met halfway, made the handoff, and were both quickly back in our respective homes snuggling with our pets. I had the non-gluten free versions of everything else and non-vegan chocolate chips (did you even know that was a thing??? ), so I thought I’d give it a shot. 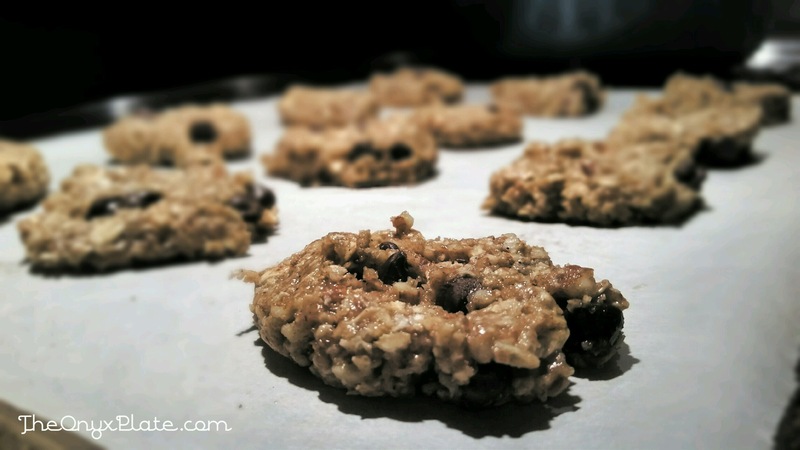 It’s certainly not your grandma’s oatmeal cookie, but if Grandma is Vegan and gluten-free, then I think she would love these. I know mine would have. 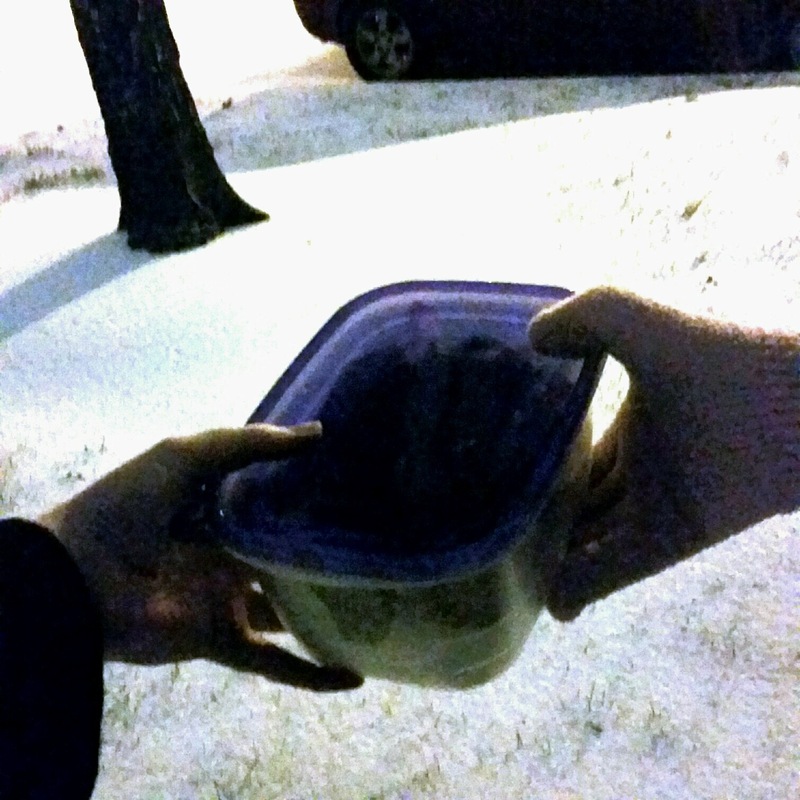 After the cookies were made, and it had snowed and continued to sleet the entire day, we met once again in the cold. This time, I was sharing cookies with the neighbor and new friend that was kind enough to be neighborly with her ingredients. Warming souls on snow days…it’s a good thing. In the end, she said that when she made them, they seemed to come out softer. So, that may be a side effect of using differing ingredients than the original recipe. I did enjoy the crunchy edges though, and the semi-soft middle. Below you will find the recipe that I used. However, this recipe came from a really great site called OhSheGlows.com. I’ve already found a few other recipes I want to try from it, as this one was good enough for me to want to go to her site for more. 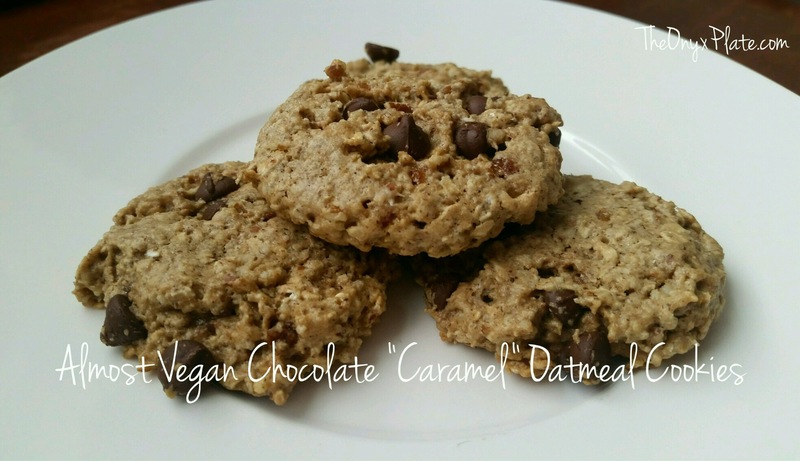 So, if you require the Vegan and Gluten-Free version of the cookies, click here for the link. Otherwise, enjoy! Preheat oven to 325F and line a baking sheet with parchment paper. Toast pecans for about 9-11 minutes, until golden and fragrant. After toasting, remove from oven and cool for a few minutes. Add pecans into food processor along with 1 cup of oats and process until coarsely chopped with some fine powder. Be sure not to over process or the oils in the nuts will release. In a large bowl, stir the pecan/oat mixture, the remaining 1 cup rolled oats, flour, brown sugar, baking soda, cinnamon, and salt. In a medium bowl, stir together the karo syrup, melted coconut oil, milk, and vanilla. Pour the wet mixture on the dry ingredients and stir until combined.